The first Sunday of each month, members of the park’s horticulture staff guide visitors through the landmarked gardens. 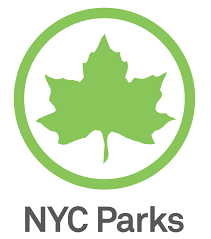 Join a NYC Parks horticulturalist to learn about the park’s history, its horticultural revitalization and about its more than 550 varieties of plants, trees and shrubs. Sidney Horenstein, Geologist and Educator Emeritus at the American Museum of Natural History, conducts tours and lectures about the geology of Fort Tryon Park and northern Manhattan Island throughout the year. Mike Feller, Expert Naturalist leads monthly programs on birds of prey, invasive species, and natural history in Fort Tryon and our sister parks uptown. Leslie Day, author of a Field Guide to New York City and New York City naturalist, leads bird, tree, and botanical history walks and talks throughout the four seasons.